Kivitatti is a charming central European style bed and breakfast which is situated on the island of Päijätsalo, near Päijänne National Park. You can enjoy the walking paths straight from the lodge door during the day and the tranquillity of the island under the mid summer night! 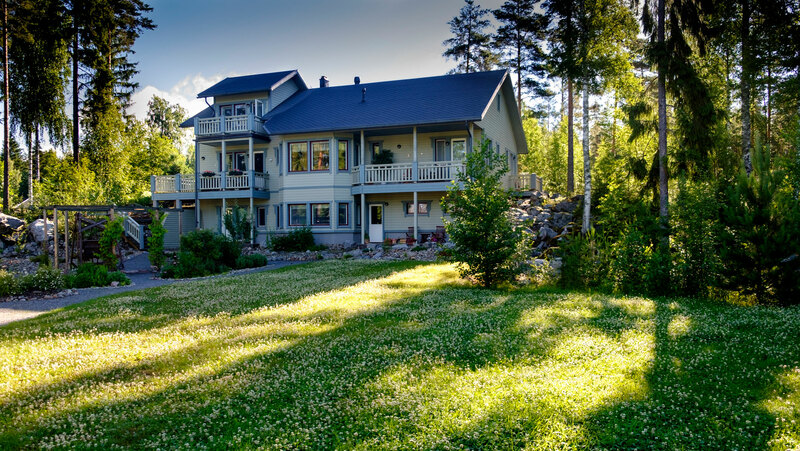 Kivitatti is situated on the shore of the longest Finnish lake, Päijänne, which offers many opportunities for swimming and traditional Finnish sauna, fishing, boating, biking, hiking and just relaxing. You are also welcome to experience the fresh and colourful autumn. Pick up the local berries and mushrooms, go net fishing and spring lobster catching or just enjoy the dark nights with stars in the sky! On wintertime you can go snowshoeing, skiing, ice-fishing, snowmobiling or ice skating on the frozen Lake Päijänne. Check our room choices and prices at “Accommodation” -section. We also gladly tailormade programmes, so do not hesitate to contact us! I, Anneli, spent a very important and interesting time of my life in Germany. Moving within Germany a few times, I got to know Germany’s people and regions, but always longed for the Finnish nature, my origins. At my work I was in contact with many people from different cultures and backgrounds. So I have grown to love the colourful mix of nationalities, all these personalities with their different stories and life experiences. My husband, Wilfried, was in Finland for holidays when we met in Jyväskylä at the Päijänne Lake. 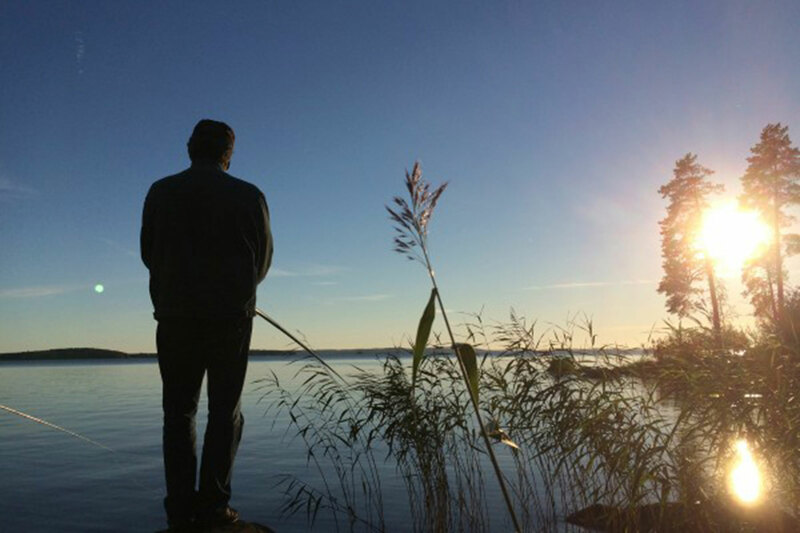 We spent more than 30 years of our annual holidays in Finland and he got to know the Finnish way of loving life, the people and the country. So at the end of his professional life he was excited to return home with me to Finland. On our trips through Germany and Europe we preferred to stay in guesthouses and private bed and breakfast lodges, because it is the best way to experience the people and the region. Already in those days, the idea was developing to eventually have our own bed and breakfast lodge in Finland. After our children had left the nest, we were free to make new decisions. How did we get to Päijätsalo? When we were looking for a place for our majatalo/Gasthaus, we besides others came to Päijätsalo. We were instantly inspired by the rough and beautiful nature, from the silence of this island to the power of the Päijänne Lake. The “forest mushroom street” (fin. :Tattimetsäntie) was a fitting name for our bed and breakfast lodge. We want to offer to all people, who are interested in Finland’s land and nature, a refreshing and eventful holiday on the island of Päijätsalo. So come and experience it for yourself!